I woke up to a heartbreaking story on the news this morning about a couple that fell through the ice on Upper Red Lake in central Minnesota over the weekend. Out of respect for the deceased, I don’t want to pass judgement on their actions. I don’t know the specifics of what happened. My goal in writing this is to prevent tragedies like what happened on Upper Red Lake from happening again. Ice Fishing is Coming Soon Enough… Be Safe! 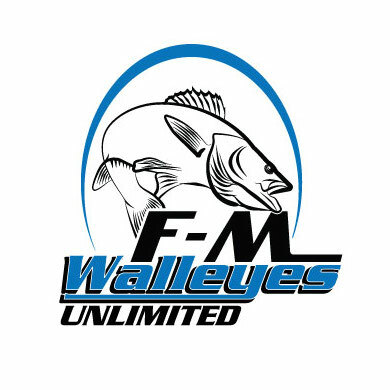 The fall walleye bite is on! I’ve caught walleyes every time I’ve been out in the past couple of days and looking at the forecast for the rest of the week, it seems the bite should persist a little longer. I’ve had mostly small fish, but I heard that someone brought in a 10.5lb walleye to Fargo Bait and Tackle to be weight for the ND G&F whopper club. We got a little rain last week which softened up the ice in many places throughout the midwest. There was a lot of standing water on the ice where we were at in Southeastern North Dakota on Saturday and the ice was slushy. The ice fishing season isn’t over, but its days are limited. With several daytime highs above freezing in the forecast for the coming week, the ice conditions will continue to slowly deteriorate.